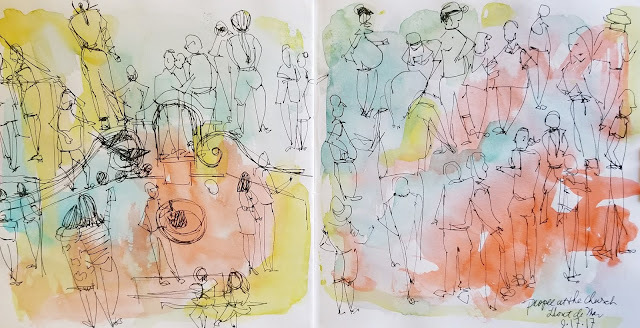 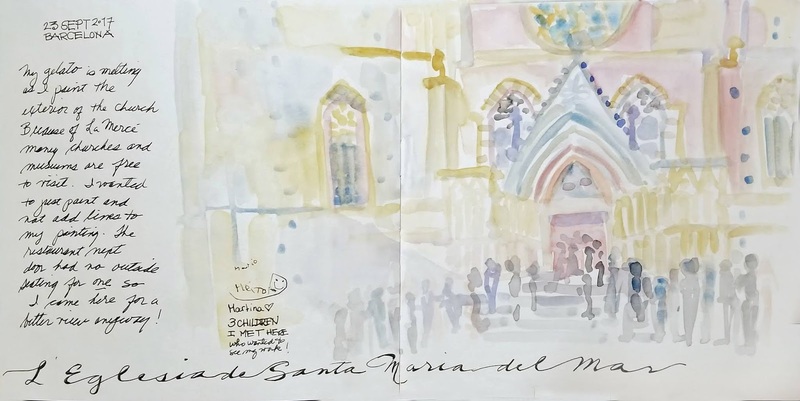 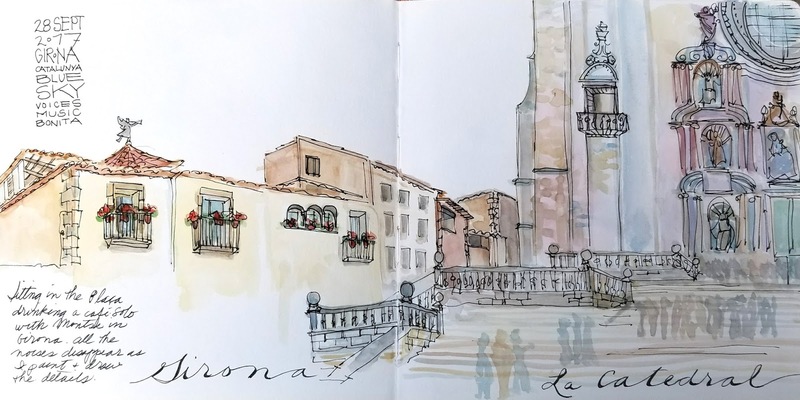 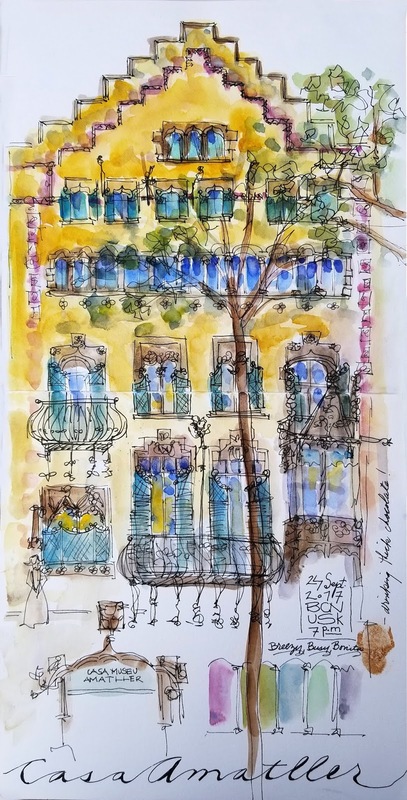 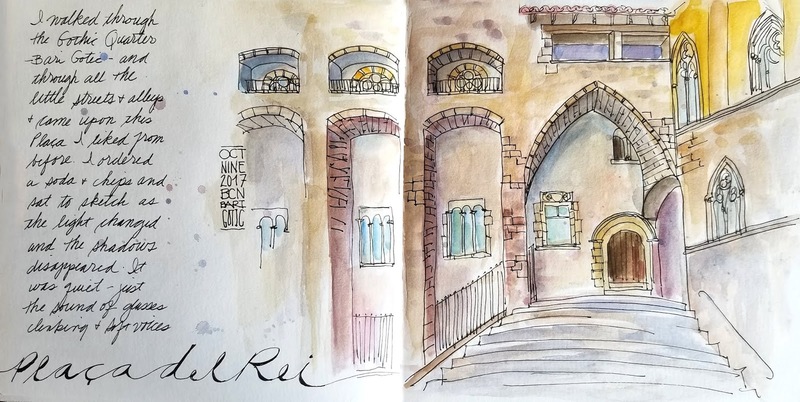 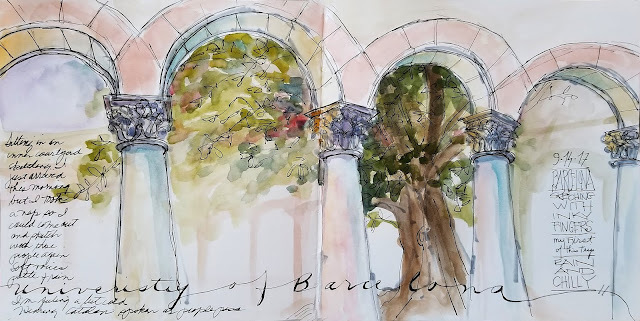 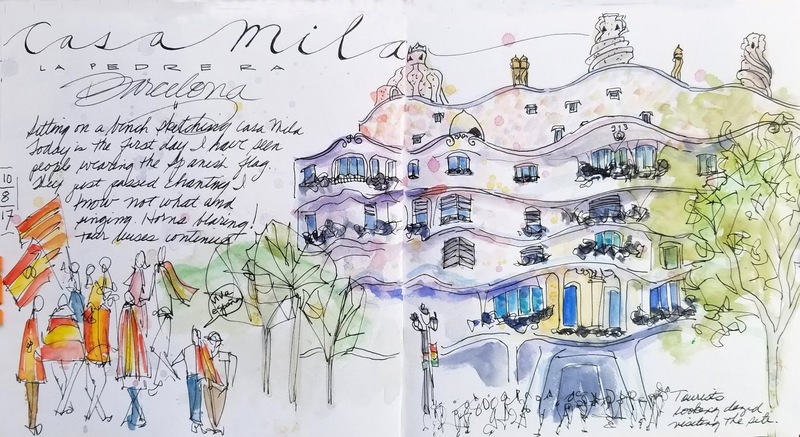 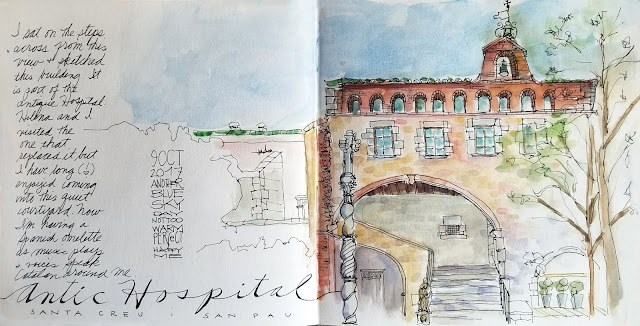 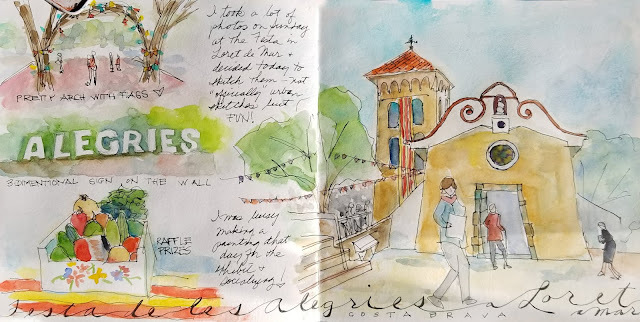 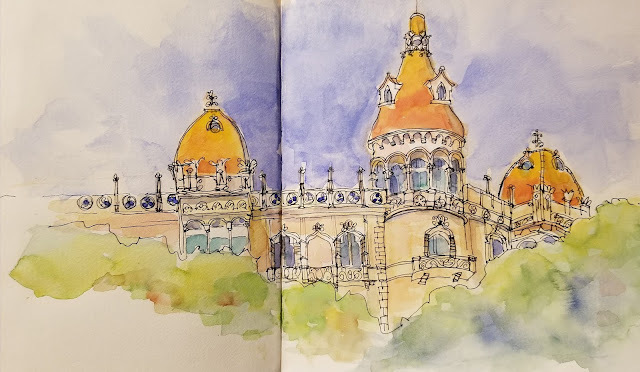 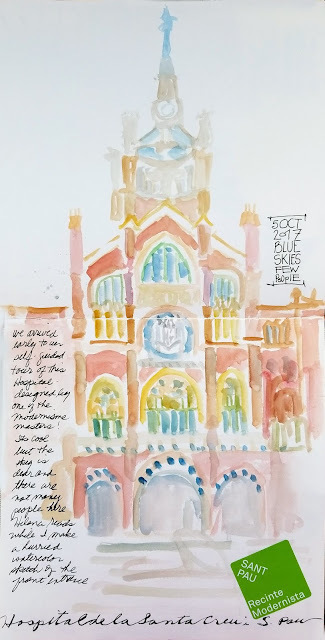 I had a marvelous time sketching in Barcelona, going out with sketchbook and art supplies every day and trying to capture as much as I could of this beautiful city. By the end of my month-long trip, I had filled two 8x8 sketcbooks, and quite a few pages in the smaller 5x5. 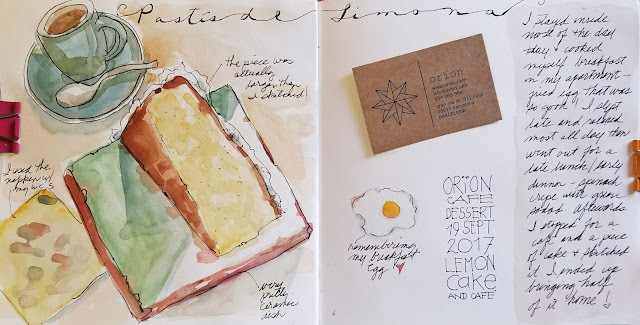 These are my souvenirs! 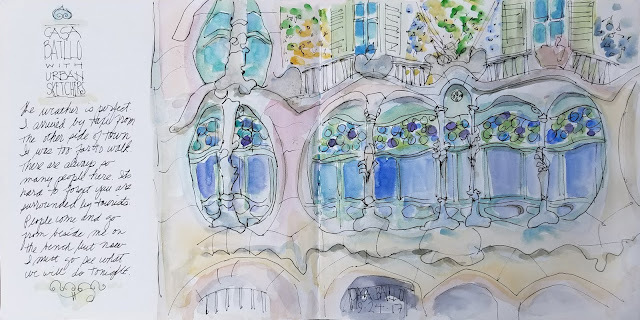 I hope you enjoy looking at them and encourage you to click on the images to see whole thing and read my observations. 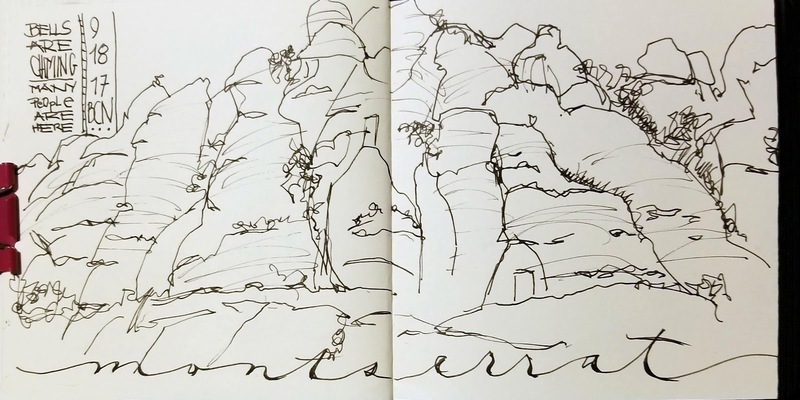 They aren't in chronological order.